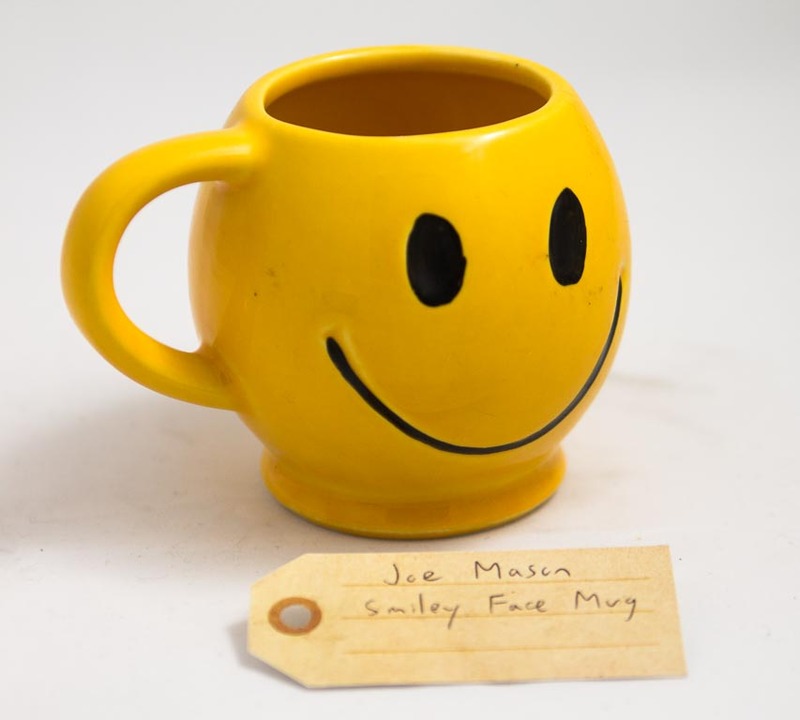 Smiley face mug | That Belongs in a Museum! The smiley face was sort of this ubiquitous symbol… Some have hypothesized that it’s a response to the cynicism of the Vietnam era. This is not about that… the smiley face of the 1970’s happened because it was copyright free. People latched onto it. They liked it. But the thing is there was nobody really particularly generating money… it was just available to all. And because of that I’d like to sort of smarmily dedicate it to the US Patent and Trademark Museum in Alexandria, Virginia.